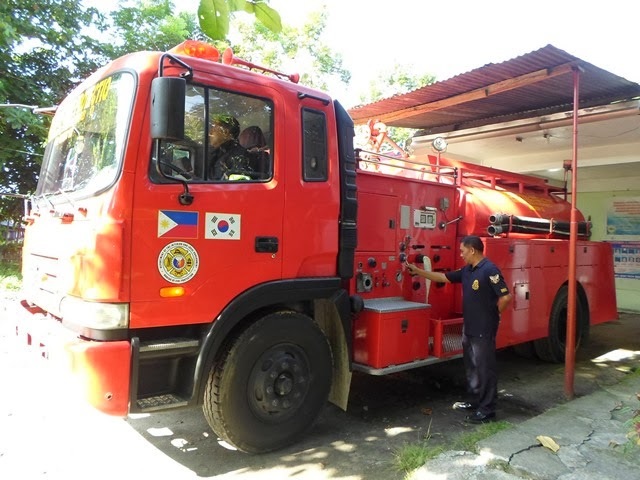 The Php 8 million worth fire truck donated by the Korean Federation of Fire Fighters to LGU-Surallah through a signing of deed of donation last July 9, 2013 finally arrived last Monday, September 30, 2013. The Korean Federation of Fire Fighters has been donating slightly used fire trucks to different places having a mountainous area, one of its criteria. In South Cotabato their first recipient was the Municipality of Lake Sebu. SF04 Nereo Casulla of Surallah Bureau of Fire Protection (BFP) was very happy to receive the fire truck for it is really of help for the municipality, and for nearby places.